Well its almost time for the Mars Society conference, so we will see all of you attendees at the Pacific D Ballroom at UCI Student Center this Thursday at 9:00 AM. 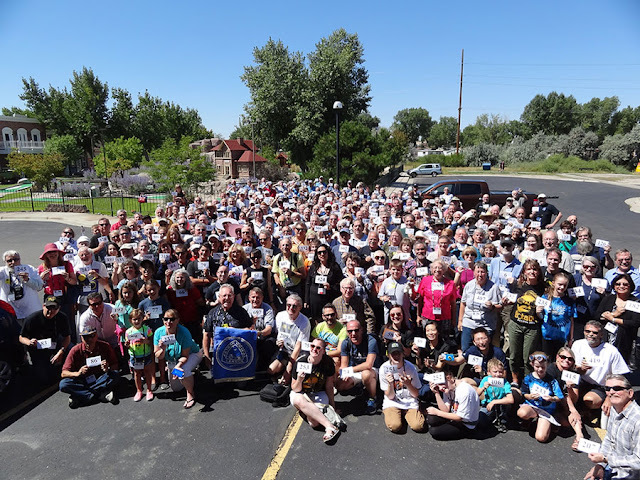 In the meantime, we can report on a group photo from Astrocon 2017, some examples of lens damage due to improper eclipse viewing, some first light with the new O-III narrowband filter, and finally, a great new book on findings with the Chandra X-ray telescope. Resident Astronomer Peggy and I showed up for the pre-lunch group photo of some of the 940 attendees at Astrocon 2017 in Casper, WY. Check out the photo below. Can you find us in the photo? Hint, we are not standing together. We also received an interesting article on improper use of lens and camera equipment used to view the eclipse from OCA Alan Smallbone. 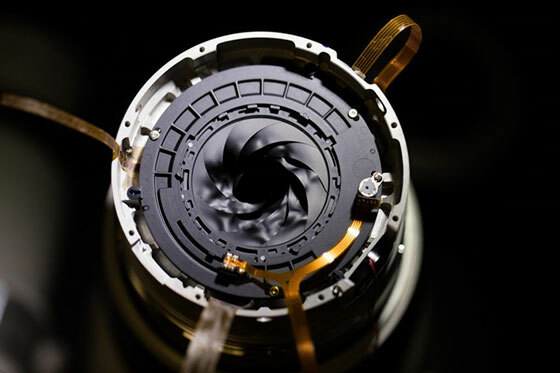 Take a look at one of the photos showing how the iris has been melted and destroyed. It was the recognition that this type of damage could be done to my camera and lens if I didn't put the solar filter back on after observing the total eclipse, that I practiced several times to ensure that I could take my planned pictures and still remember to put the filter back on. Fortunately, I accomplished most of my observing plans and managed to get the filter back on, and didn't experience any damage as shown in this and other images. Thanks for that reference, Alan! There was at several vendors, and at least one Astrocon speaker, that talked about using narrowband filters to improve some astroimages of deep sky objects. I imagined or hoped that with this type of filter, I would be able to observe deep sky objects while conducting the observation in city lights polluted skies. Well, this dream was not going to happen. Many different narrowband filters are available that enable serious deep sky imagers to enhance their images of nebulas, etc., but dark skies are still required. It still sounded pretty interesting, so I eventually purchased one of the more inexpensive filters for a trial run. This filter passband is adjusted to allow just two narrow peaks, one in the green and one in the blue, to pass through. These passbands are set to match the doubly ionized spectra for oxygen, which is often present in deep sky objects. Now when I first got this filter, which was advertised as 2 inches, which meant that it would fit the standard 2 inch telescope tube, but how will I adapt this to fit just my telephoto lens. I first considered just making a cardboard adaptor so that the filter would just fit over the camera lens, but I have experienced other problems, such as reflections, etc., when the plane of the filter is not perpendicular to the optical axis. Surely there must be an adapter available somewhere which will let me attach this directly to the 58mm ring on the telephoto? It turns out there is. An internet search turned up an article in the Star Gazers Lounge (https://stargazerslounge.com/topic/121988-2-inch-filter-to-camera-lens-adapters/) that let me in on the secret. 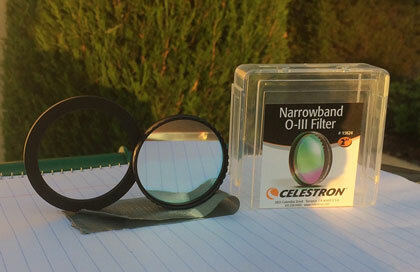 The filter is designed for 2 inch telescope tubes, but it also comes with some 48mm threads. Then all I needed was a 58mm to 48mm step down adapter so that the filter can just be screwed directly to the telephoto lens. Pretty neat! Who knew that when it comes to this filter, 48mm was the thread size for this 2 inch filter (of course 2 inches is strictly equal to 50.8mm)? Thanks to the greybeards at Stargazerslounge for that insight? Now with the right adapter in hand, thanks to my friends at Amazon, let's take a look and see what happens when the filter is in place. The night skies have been pretty cloudy so first light through the filter occurred in the daytime. 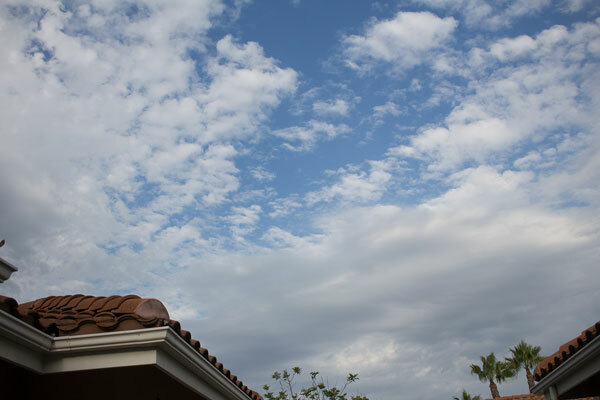 The first image is of clouds, which is the first convenient object up in the sky that was available. Compare this image with the next image which is the same view but without the filter. All of these photos are shown just as they come out of the camera and have not been enhanced or altered. 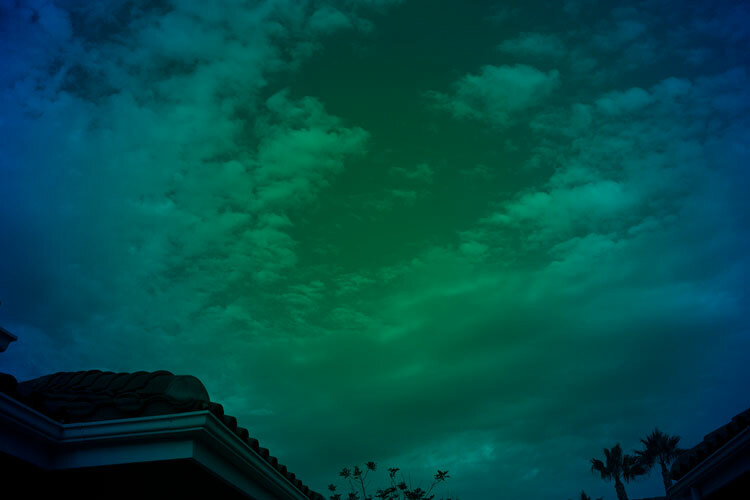 The clouds seem to reflect a lot of blue light and the normally blue sky seems to show up more in the green. How are we to use this filter? I don't see the benefit yet. The second most convenient thing in the sky to try the filter on was the sun. 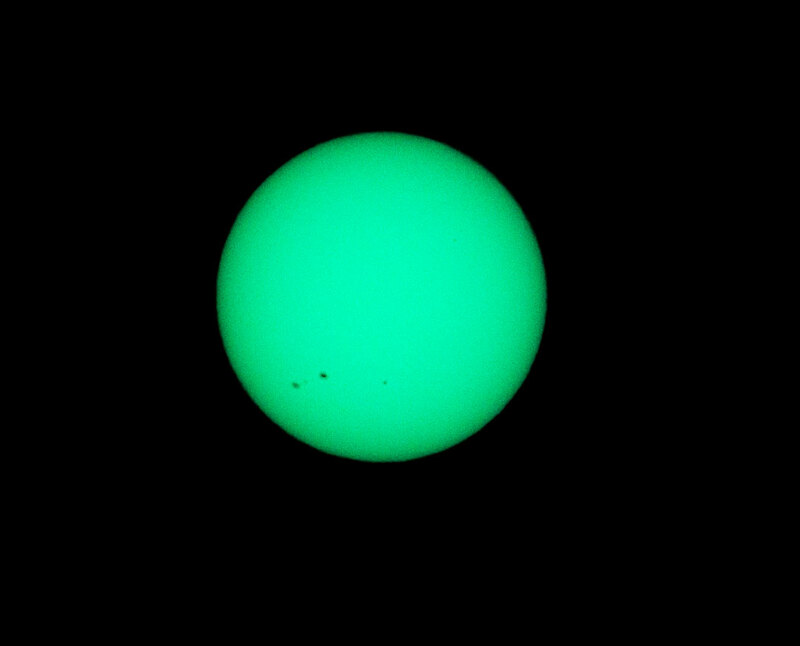 The first image below is with the filter on and of course the sun now appears to be greenish/blue. The sun without the filter is shown in the second photo for comparison. What can we learn about how much light is attenuated by the filter? The narrow passband will certainly block a lot of city light spectrum, but it also will limit a lot of light coming from the target. Now, we know that the sun's spectra approximates a black body continues spectrum that peaks in the visible wavelength region and maybe we can use this fact to measure how much filter attenuation occurs, at least for one color and one type of camera pixel, the green pixels. So, comparing the camera ADU values, 1322 vs. 3147, for the two images and taking into account the shutter speed difference of (1/125) / (1/2000) = 16, for a total intensity difference of 38 times between the filtered view and he non-filtered value for just the green pixels. 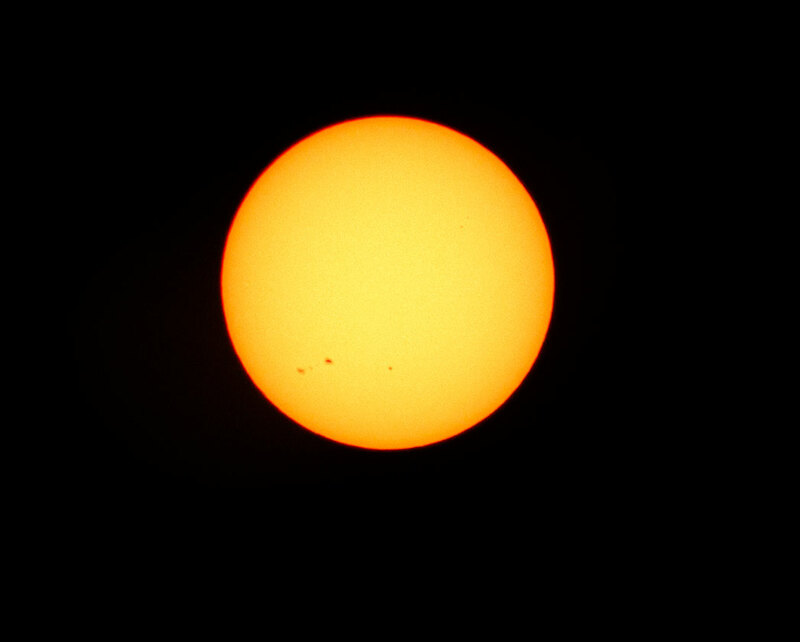 I don't see any prominences or other solar features, other than the sunspot, in either photo. Ok, that seems about enough to say about narrowband filters. I tried it but I don't recognize any benefit for me just yet. It might be that some of the other very expensive filters will show some benefit, but I am not trying to get the last little bit of detail out of hours of multiple stacked images of deep sky objects, so it just doesn't seem to be something I need. So, let's leave the optical band and go to the x-ray band. 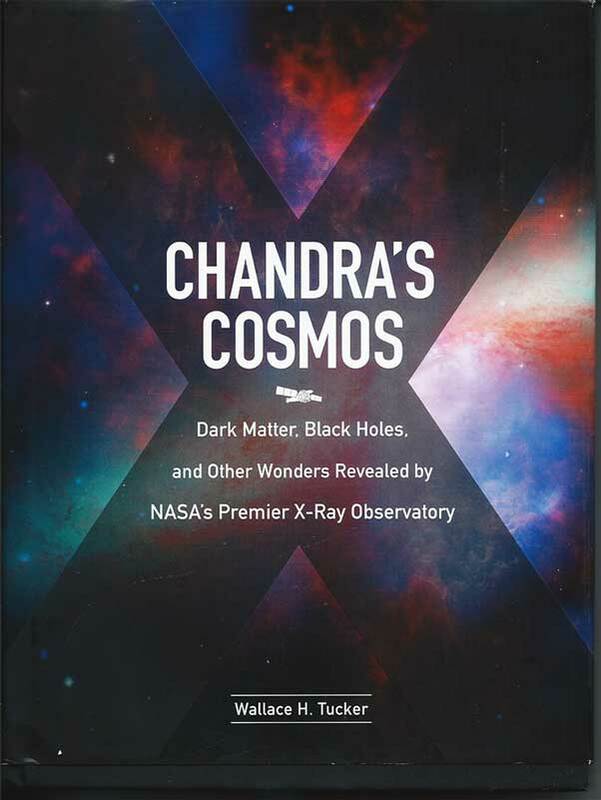 A really great new book is out now that describes some of the findings with the Chandra x-ray Telescope. The book covers some interesting findings and discussion and is easy to read. If you are interested in that area of astronomy, check it out. I find it a very good book on the topic.